Bones can become frail and thin with age, but it’s never too late to start strengthening and nurturing them. Older adults can adopt the following strategies to make their bones healthier. Getting enough calcium can help seniors build strong bones. Some good sources of calcium include low-fat milk and fish such as salmon and sardines. Older adults who want to increase their calcium intake should also consider adding Chinese cabbage, kale, and turnip greens to their diets. Bone loss is not the only age-related condition older adults may have to experience. Seniors can face a variety of challenges as they age, many of which can be mitigated with the help of professional in-home caregivers who provide high-quality home care. Green Valley families trust in Home Care Assistance to help their elderly loved ones age in place safely and comfortably. Salty foods can cause older adults to lose calcium and experience bone loss. Many canned and processed foods are full of salt, so limiting them would be a good idea. The Department of Food and Nutrition at Hanyang University did a study that was featured in the Osteoporosis International journal in 2017. The study stated that postmenopausal women who consume a diet high in salt are at a higher risk for osteoporosis and other bone diseases. Due to changes in appetite, many seniors find it challenging to get the nutrients necessary for bone health. Vitamin D, omega-3 fatty acids, and calcium supplements have shown to increase bone strength. Before taking any supplements, aging adults should first talk to their primary care physicians. Research done by Bess Dawson-Hughes of the Bone Metabolism Laboratory at Tufts University found that the sulfur compounds in grains can lead to acidity and prompt bone loss. The research also suggests older adults should incorporate more vegetables and fruits in their diets, which can offset acidity. Some older adults need help preparing nutrient-dense meals. If your aging loved one needs occasional help with bathing, grooming, cooking, or other basic household tasks, or if you need time to attend to important personal matters, reach out to Home Care Assistance, a leading provider of live-in and respite care. Green Valley seniors can maintain their independence while living at home with the help of our reliable respite caregivers. 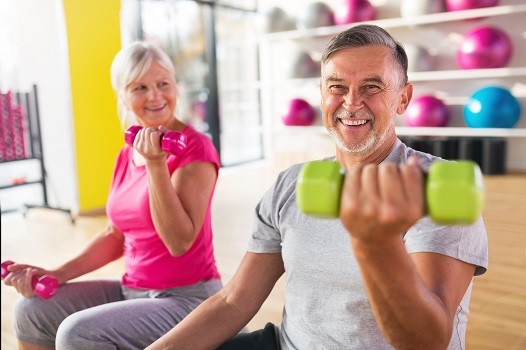 Following a consistent workout program can reduce bone loss in seniors. Exercising on a regular basis increases coordination and muscle strength, lessens the chances of broken bones due to a fall, and enhances stamina and muscle tone. Some of the best exercises for seniors include walking, yoga, and weight-bearing workouts. Some medicine, including certain steroids for pain, may weaken the bones. If seniors have weak bones, their risk of painful fractures and possible disability increases. In the event medicines are causing bone loss and other issues, older adults should immediately talk to their doctors. Making positive lifestyle choices is just one of the many ways older adults can boost their wellbeing. Seniors who want to remain healthy as they age can benefit in a variety of ways when they receive professional elderly care. Green Valley, AZ, Home Care Assistance is here to help your loved one accomplish daily tasks, prevent illness, and focus on living a healthier and more fulfilling life. Call us at 520-625-2050 to schedule a free in-home consultation.